We spent most of last Saturday doing some projects around the house. 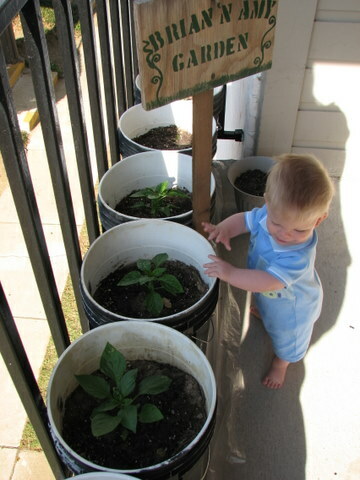 First of all, we got dirt, plants and seeds to make our garden. We had enough dirt to fill all seven buckets and planted red, yellow and green peppers, a tomato, cucumbers and some zinnias and sunflowers. I was excited to find the first of our seeds sprouting this morning! 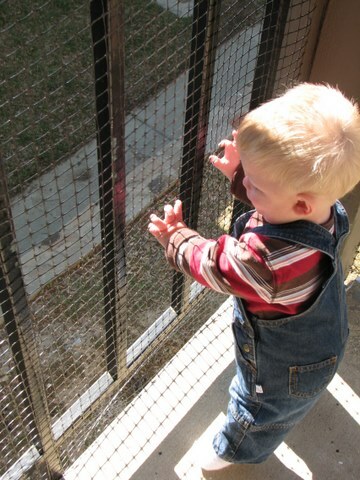 We also put up a plastic mesh around the balcony so Lance could play out there without the danger of falling through the railings. Two evenings were spent fixing flats on our bikes and installing some shades on the balcony. 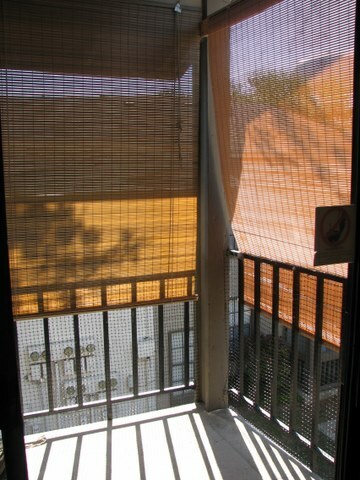 Besides blocking the sun, the shades give an element of privacy and we had a candle light dinner on the porch one night!